Hearing aids | I'm hard of hearing, so what? Hearing aids – I'm hard of hearing, so what? 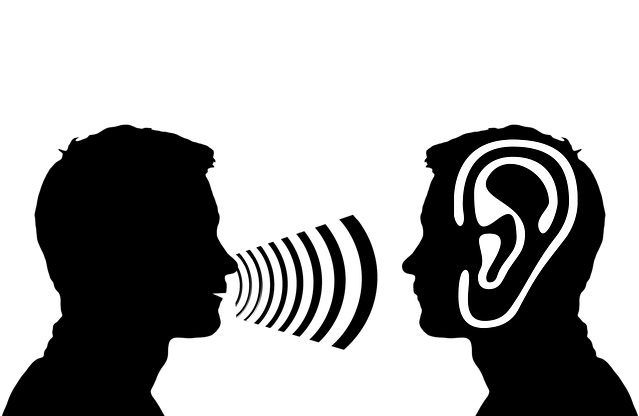 Today I saw an article about the hearing aids of the future, and I wanted to share that with you. Music of the future for the hearing impaired: Researchers in England are developing a hearing aid that can read lips. The preliminary research for this is led by the ETH Zürich. A hearing aid that can read lips: in the next few years, this futuristic technology could become reality. Researchers and doctors at the University of Stirling in Scotland are developing a lipreading hearing aid in a pilot project that should help the future generations of hearing impaired individuals. With the device, sounds aren’t just strengthened acoustically, but mouth movements are also registered by the device. A miniature camera, mounted on a pair of glasses, chain, or earring records the mouth movements. The visual pictures are then transformed into auditory signals. This device should be of particular advantage in noisy areas. This is good news for hearing aid users. Even though I have gotten used to lipreading since the beginning of my hearing loss (lipreading is not just reading the lips, it also focuses on body language), such a device is welcome for me. Everything that makes the life of a hearing impaired individual easier is a huge step forward. Did you know that one of the most common complaints among the hearing impaired is tiredness? That’s because an enormous amount of energy is expended listening to and trying to understand others. After a day of communicating with others, I am usually ready to call it a night. Since I am conscious about it, I set up my calendar with a view to that. This means that I try to schedule important meetings or phone conferences for the morning or early afternoon so that I am still alert. I also try to space out the effortful events as far apart as I can. Of course there are sometimes situations where it doesn’t always work, and then I try to make the best of it. I don’t smoke, so I cannot withdraw for a quiet smoke if I am overwhelmed. However I sometimes make my escape to the toilet if I am a bit overwhelmed from all the noises and listening. Short breaks are important for hearing impaired people. Because of that environment, it doesn’t attract attention when I disappear for a short while. It’s not always easy to do, but there are courses and resources available to support you and help you learn to better deal with your hearing loss. Each time I need new hearing aids, I notice that the technology has advanced, and quickly, especially with CI’s. This happens every 6-7 years. I profit from the technological advances and I am eager to see what has gotten better in the few years I have left before I get an upgrade to current HA’s which I have had for a number of years.